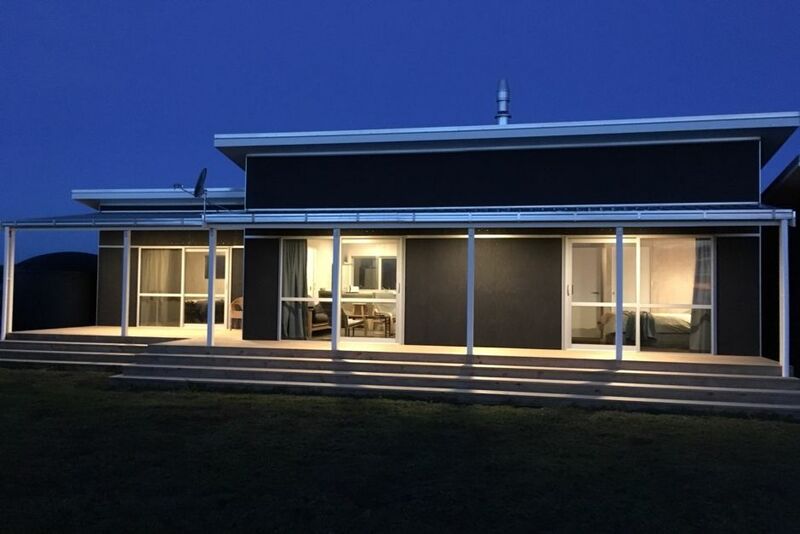 Set in the midst of Taranaki's surf snow and fishing area.This sea front location (rocky foreshore) is the closest you will get to wake up to secluded surf, fishing or tramping or take a 5 min trip to world renowned locations. You’ll love my place because it is a brand new purpose built holiday beach pad. Views of Mount Taranaki out one side and the ocean on the other side in a secluded rural setting . Morning thru to afternoon sun with log burner and heat pump for the cold days. Ten minutes drive to local grocery store /cafe / restaurants only thirty minutes drive to New Plymouth city. Centrally located for Taranaki and South Taranaki must do attractions including Pouakai Circuit Pukeiti Garden and Dawson Falls to name a few. BJ and Kaye not only have an amazing home (and views) but they go more than the extra mile to make sure all is good! They truly have a lil slice of paradise where they are! Was good fun getting to surf and get pointers on the local lineups. Mahalo Nui BJ and Kaye!!! You guys made our trip that much more amazing! Definitely recommend! Great modern, clean, accommodation and lovely scenery. great communcication with bryan and kaye.. tranquil bach by the beach with the mountain backdrop. This place is perfect. Sea and Mountain views. We enjoyed spectacular sunsets. A huge lawn which the dog loved. Spectacular night skies unaffected by city lights. Very well provisioned. A perfect design.